Turn off the earphones. 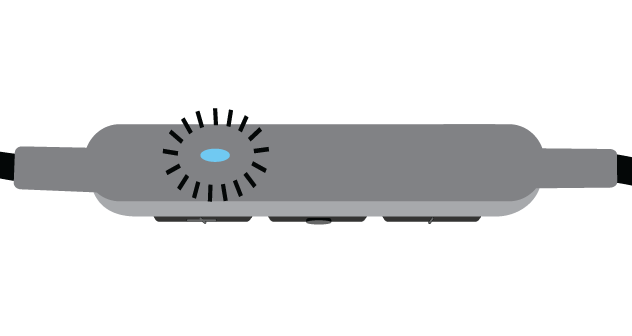 Press and hold the center button on the earphone remote until the LED flashes blue and red. From your audio source, select "Shure BT2." When successfully paired, the LED turns blue. 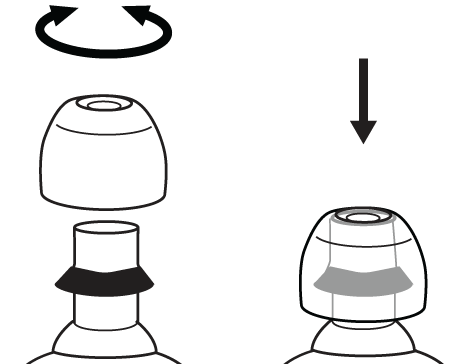 Note: If the pairing fails on the first attempt, repeat the process from the beginning. 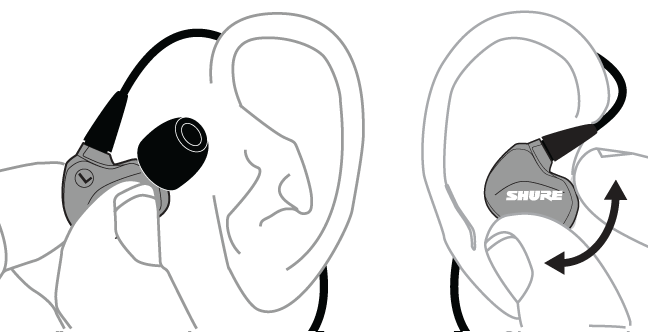 For additional pairing methods, please visit http://www.shure.com/earphones. 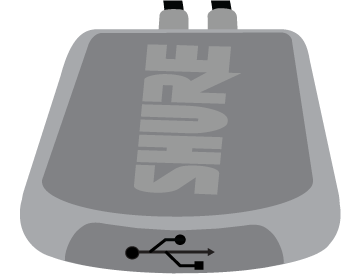 Contact Shure Service and Repair to replace damaged product. 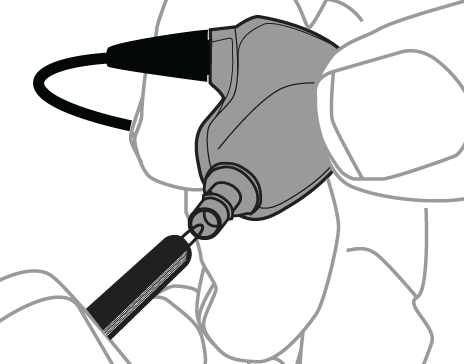 Simply detach and return the broken earpiece for easy replacement. Factory Reset Turn off the earphones and plug into a charger. Press and hold, 15 seconds. Hold past pairing mode until earphones turn off again. Connect the earphones to a charging device using the supplied USB cable. The LED is red while charging. When fully charged, the LED turns off. Warning: Before charging, make sure the product is at room temperature, between 10 to 45°C (50 to 113°F). This equipment complies with IC RSS-102 radiation exposure limits set forth for an uncontrolled environment. Cet équipement est conforme aux limites d'exposition aux radiations IC CNR-102 établies pour un environnement non contrôlé. Este equipo ha sido diseñado para operar con las antenas que enseguida se enlistan y para una ganancia máxima de antena de [+1.6] dBi. El uso con este equipo de antenas no incluidas en esta lista o que tengan una ganancia mayor que [+1.6] dBi quedan prohibidas. La impedancia requerida de la antena es de  ohms. 이 기기는 업무용 환경에서 사용할 목적으로 적합성평가를 받은 기기로서 가정용 환경에서 사용하는 경우 전파간섭의 우려가 있습니다. 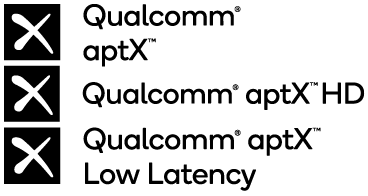 Qualcomm®aptX is a product of Qualcomm Technologies, Inc. and/or its subsidiaries.